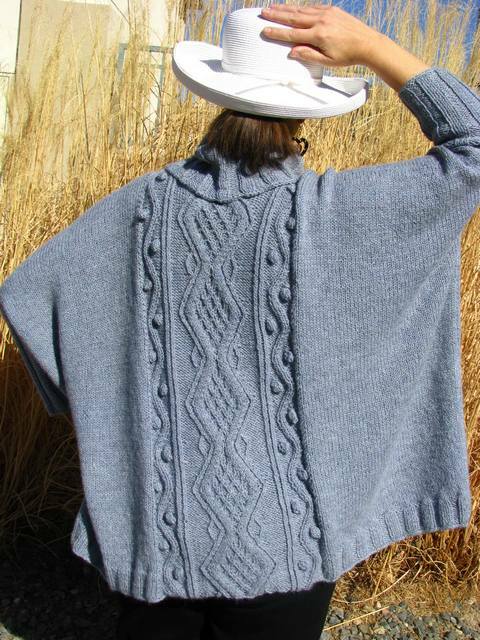 I am so excited to introduce to you my latest design, the “#25 Cabled Poncho” that was picked up by Vogue Knitting Early Fall 2011! 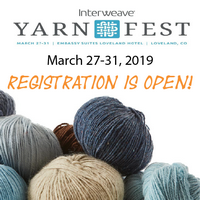 This is my first design for Vogue Knitting so that I am totally excited about this great opportunity and exposure I received. Yippee!Currently you can enjoy a Vogue Knitting 360 view video of this design. Alrighty, back to the design at hand: It’s the perfect topper for a chilly day (Fall or Spring) when you need just a light but warm layer to take the bite out of the air. Worked as 2 rectangular pieces with shaping only at the neckline and boasting an intricate cable panel worked with twisted stitches and tasteful bobbles to add a traditional flavor. 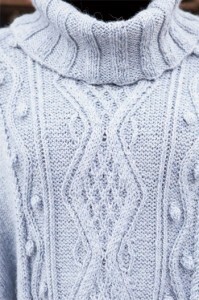 The generous cowl collar has a ribbing that is repeated on the sleeves. 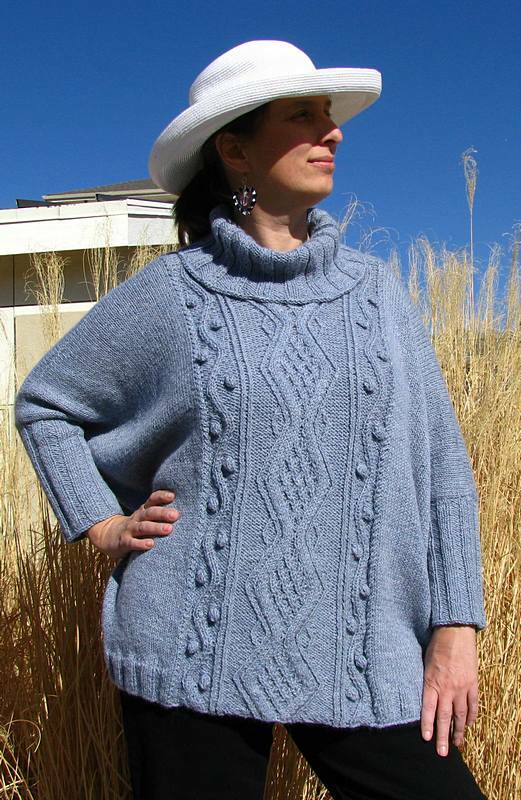 It is worked in a buttery soft, sport weight baby alpaca yarn by Blue Sky Alpacas, called Melange (100% baby alpaca, 110 yds/101 m per 1.75 oz/50 g) and was a pleasure to work with and just a dream to wear. The cables and twisted stitches are all worked without a cable needle by either knitting the 2nd st on the left needle before the 1st st or by rearranging a couple of sts before knitting. This made for a quick knit despite the cables and intricate look of the decorative panel. The finishing is straight forward with a 3-needle bind off at the shoulders, sewing up the sides and adding the arm cuffs and generous cowl by picking up stitches and working in the round.The sweater worked up very quickly even though you work across a fairly large number of stitches, because for the most part, you knit in Stockinette stitch and you only need to pay attention during the center section. After a while you understand the pattern flow and don’t even need to consult the cable charts (one of the center diamond pattern and one for the bobble panel) any longer. This oversized sweater was so feathery light and soft that I just had to try it on before sending it in. Ooohhh, what a delight! I nearly felt like I was naked – it was so soft next to my skin and light… ooohhh! Can I keep it?? ?